There wasn’t much in the current issue (Vol. 91 No. 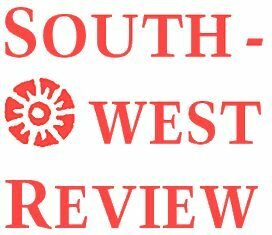 1) of the Southwest Review that held my interest, and I have the feeling that’s been true for a while. There was the essay by Wendy Steiner that didn’t do much for me, and the odd story “The Secret History of the Flying Carpet,” by Azhar Abidi, that was well done for what it was (pseudo-academic fantasy), and and interesting enough essay on Hume and Rousseau (that I confess I could not finish). While I didn’t really enjoy it, I admired Brian Wormser’s story “William Blake.” I did enjoy the essay by John Gould on Anthony Powell and Constant Lambert. I’ve owned for some time Powell’s A Dance to the Music of Time, at the insistence of my friend Graeme (Graeme, are you there? ), and this essay may finally push me over the edge to read it, all one million words of it. Most of them, anyway. Somehow, that isn’t enough to keep me coming back to a journal, though. Maybe if Editor Spiegelman would accept one of my submissions I’d consider renewing my subscription. Heh, heh. Actually, the best thing in this issue is the poetry. Check out “Blackout” by Charles Simic.